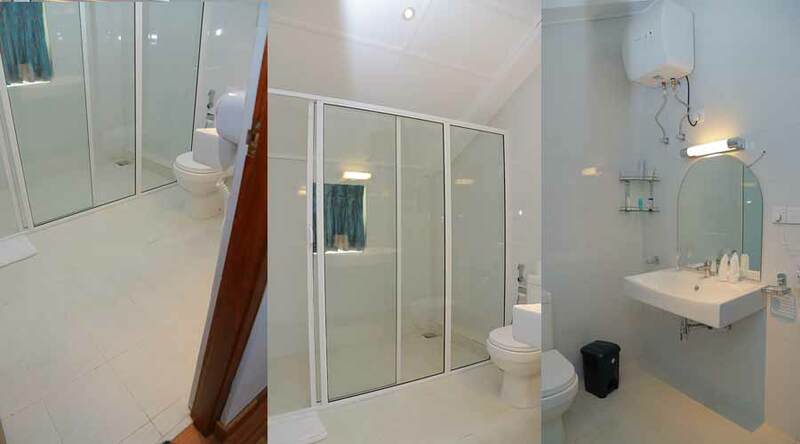 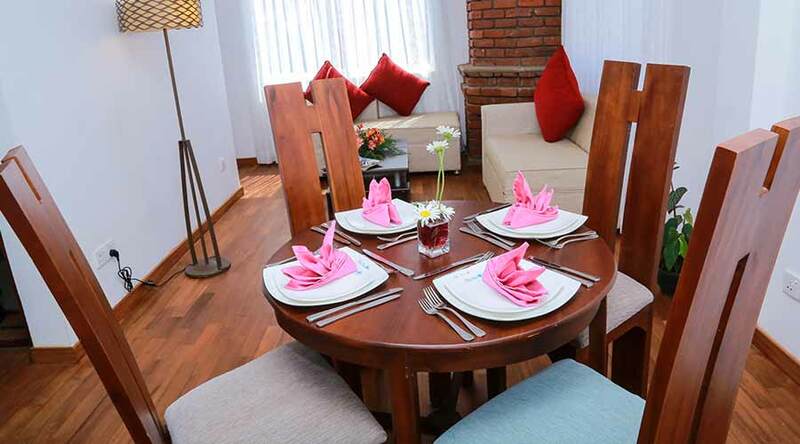 A luxurious abode with two spacious bedrooms, attached bath/toilets, a pantry, dining area, living area and fireplace is an exclusive choice that can comfortably accommodate 4-6 pax. 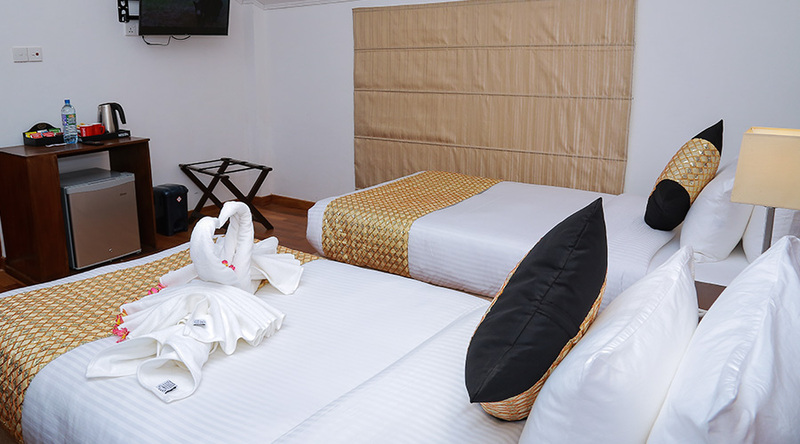 Decorated with soft hues to add to the soothing appeal of the rooms, indulge in complete privacy and opulence at our Super Deluxe Suite. 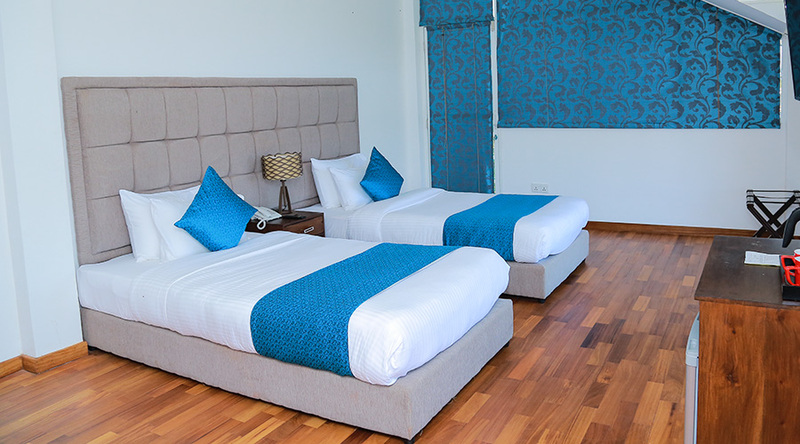 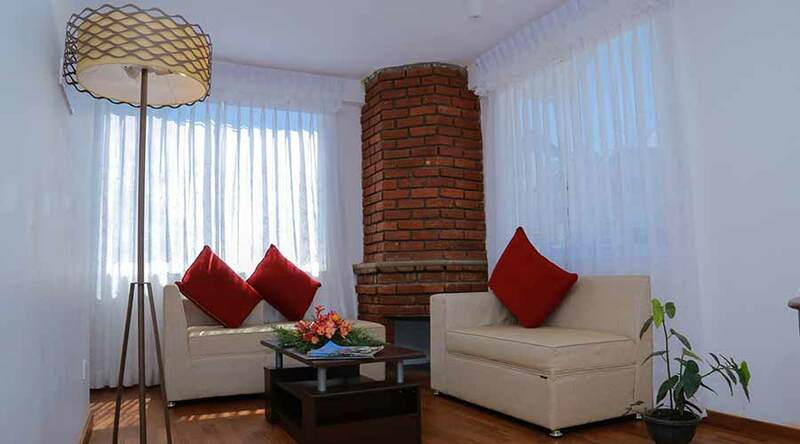 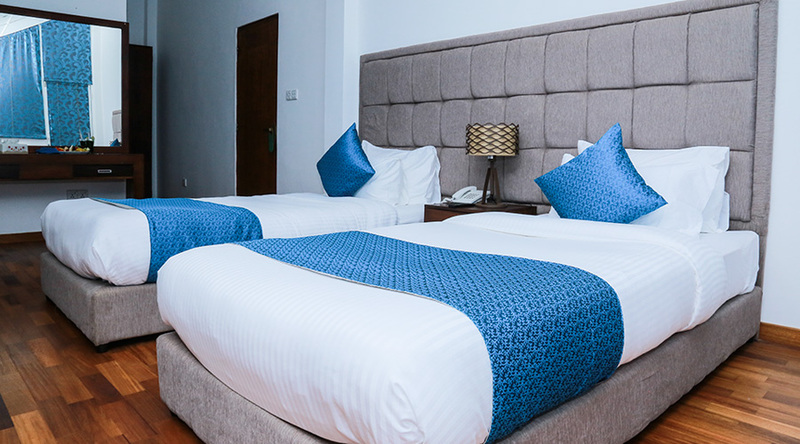 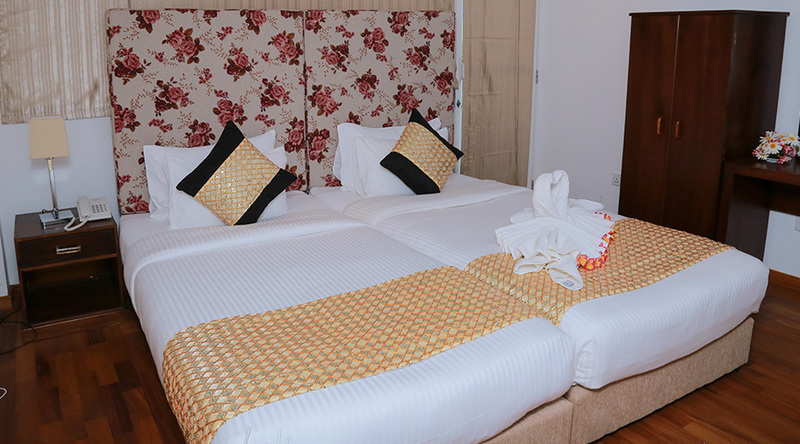 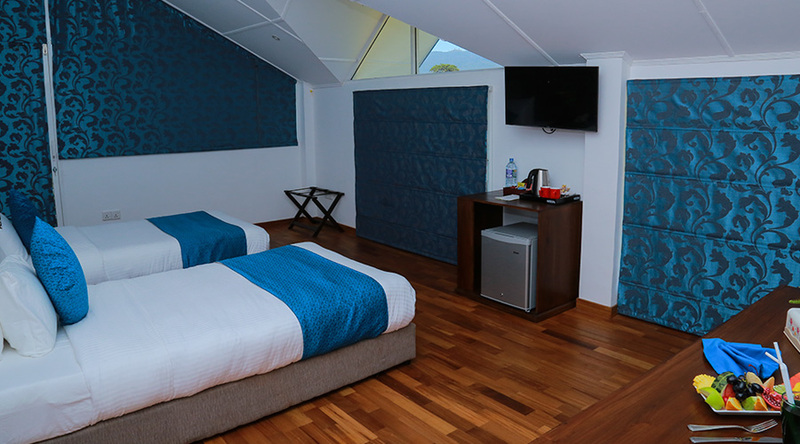 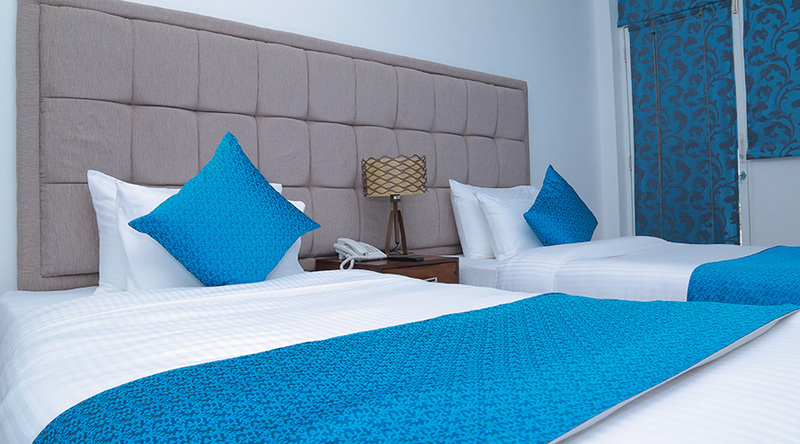 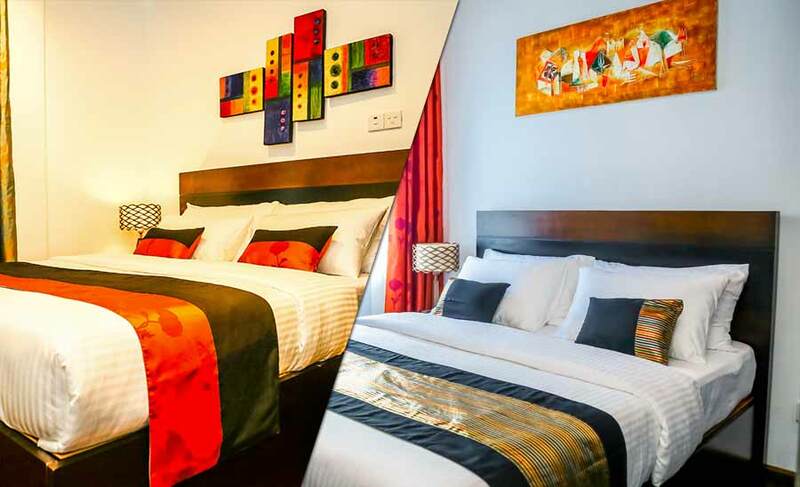 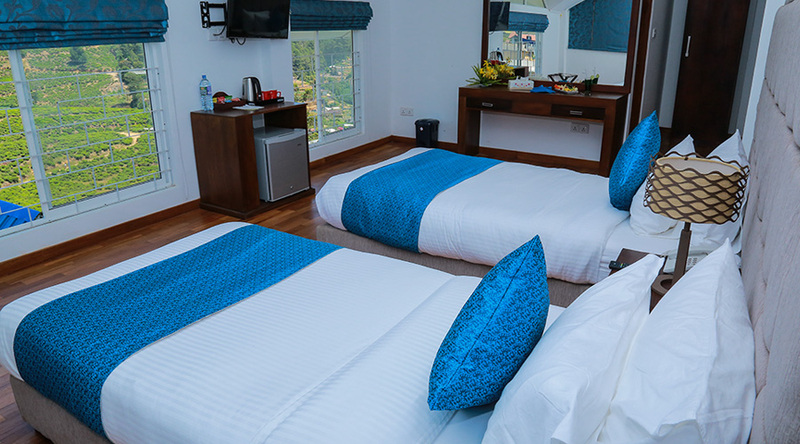 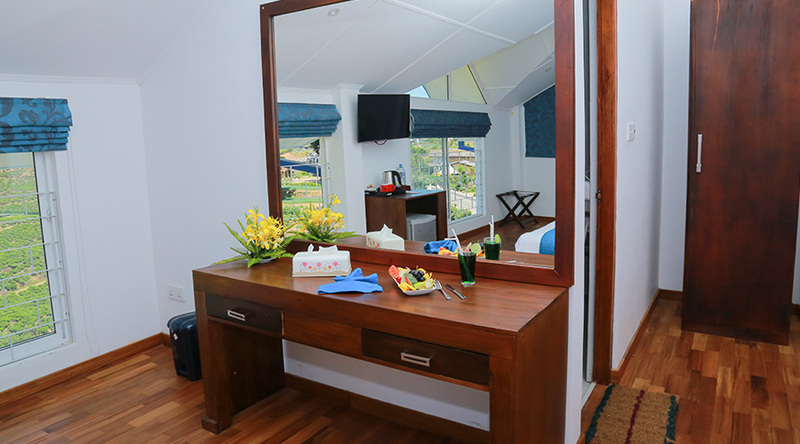 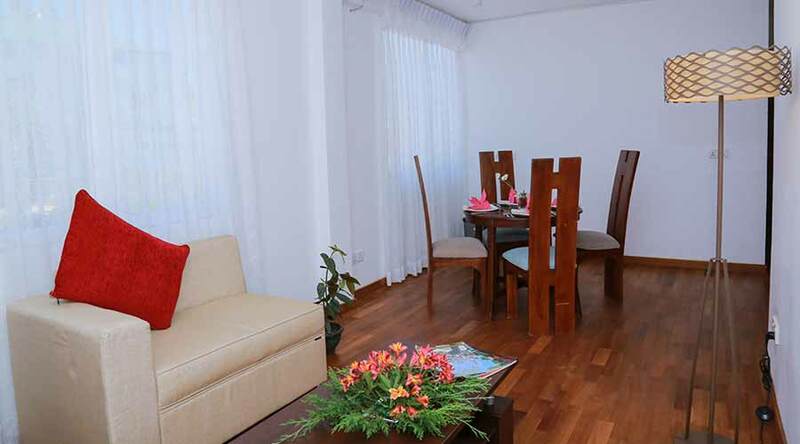 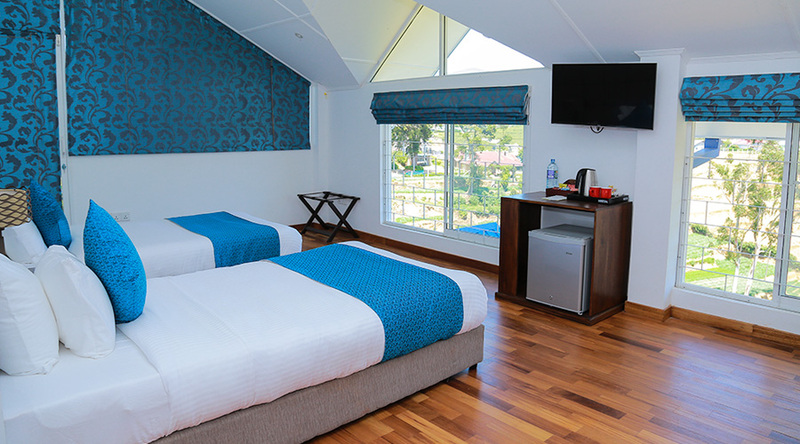 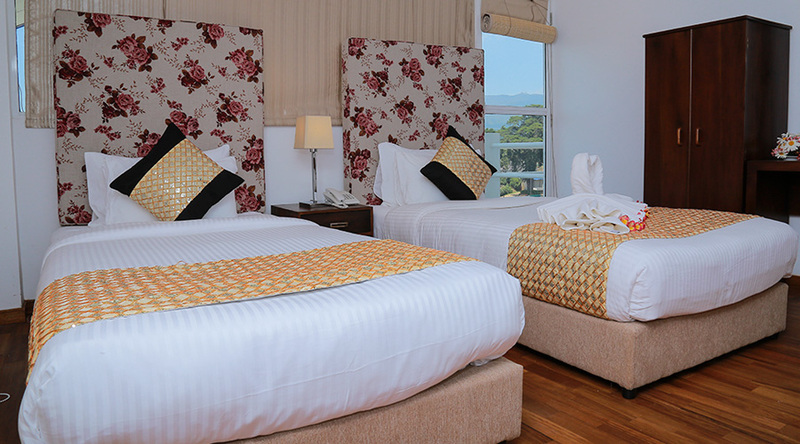 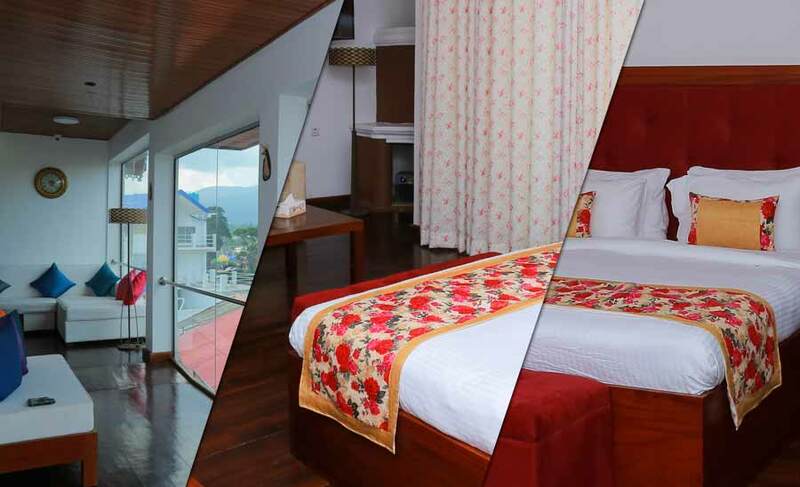 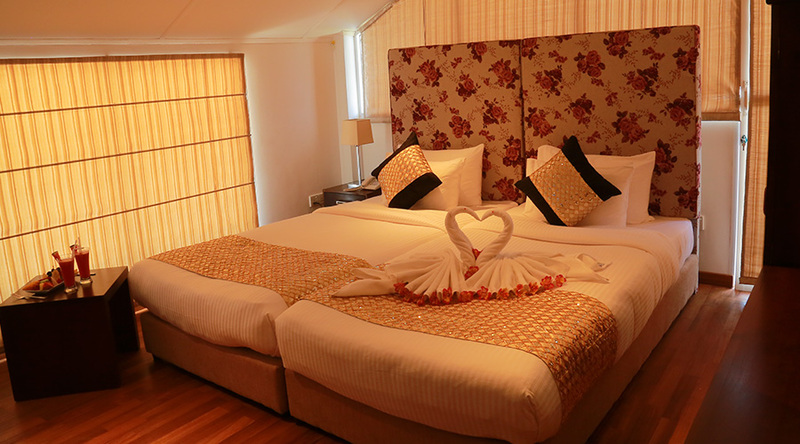 The terraced balconies connects you with the heavenly sights of the surrounding mountain ranges and the room overlooks picturesque landscapes of NuwaraEliya. 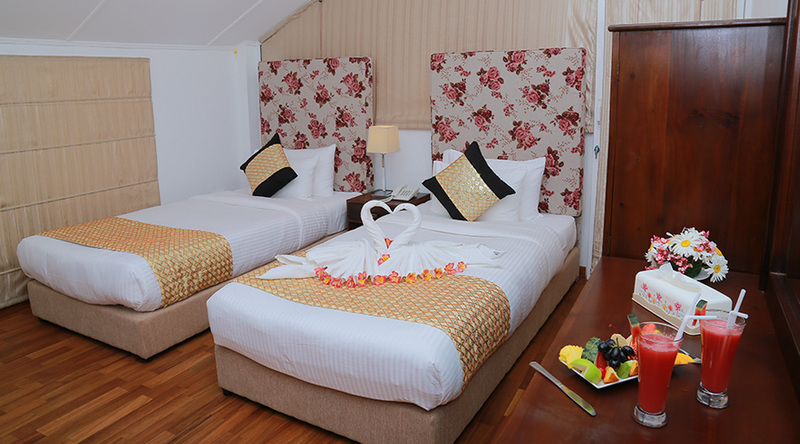 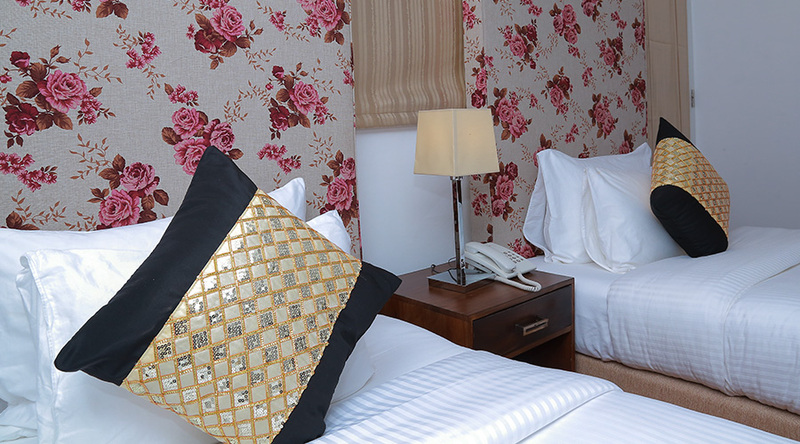 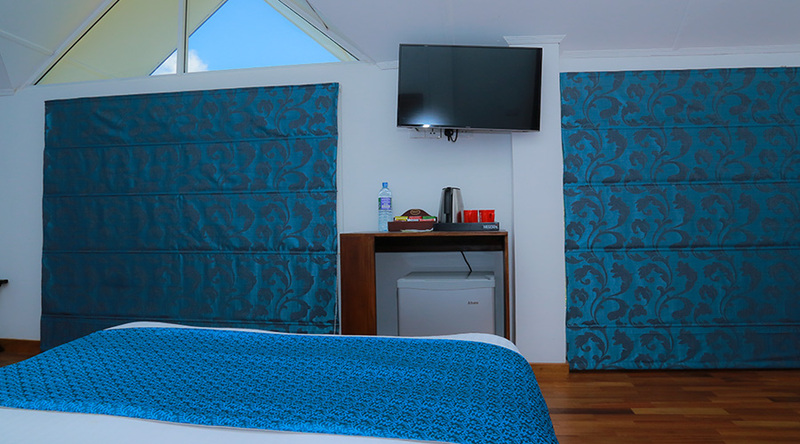 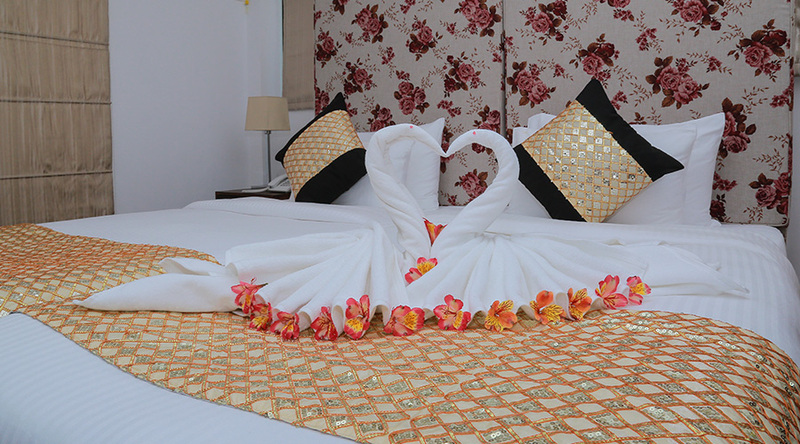 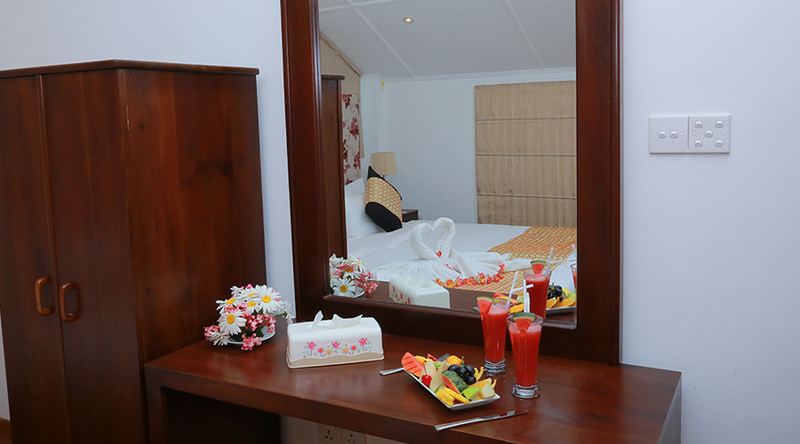 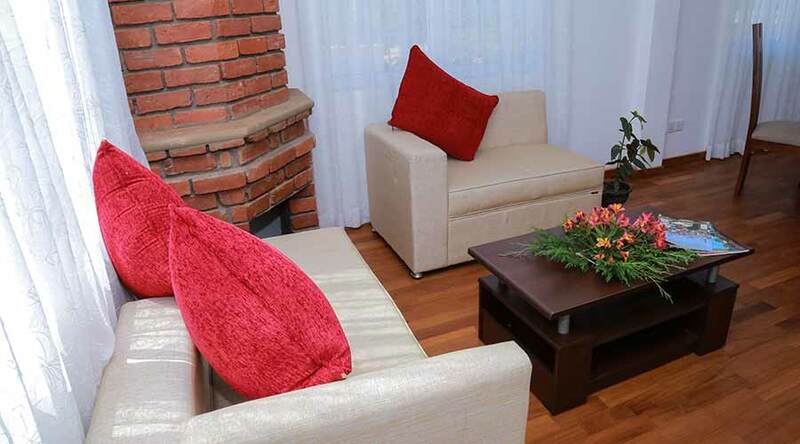 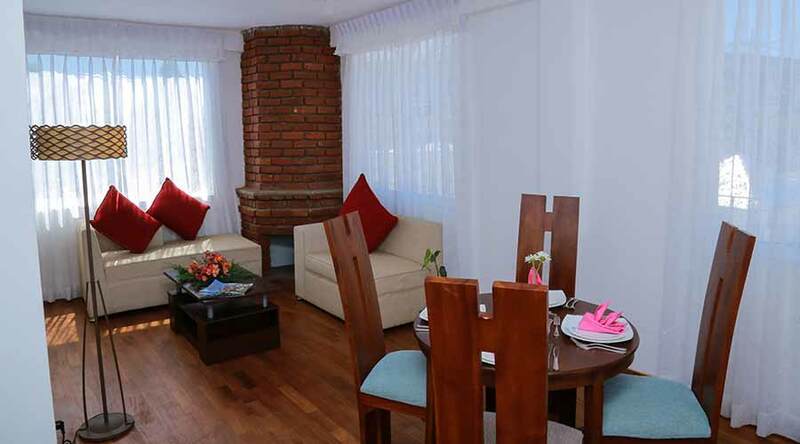 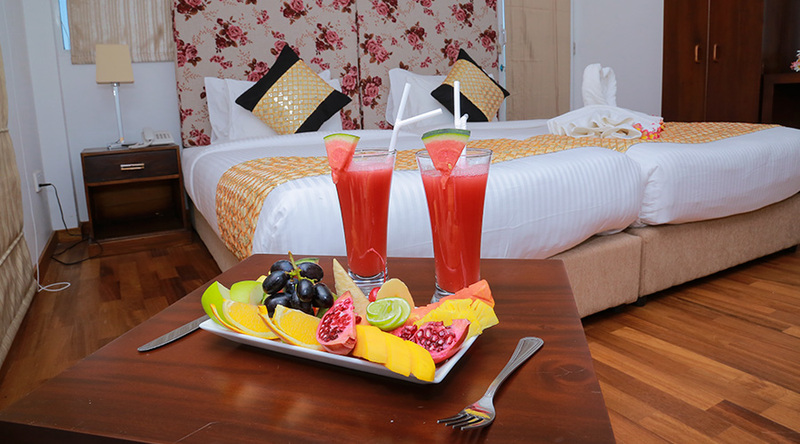 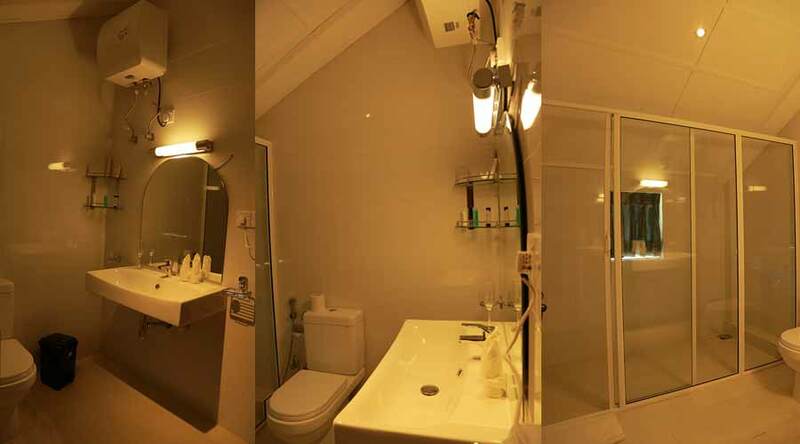 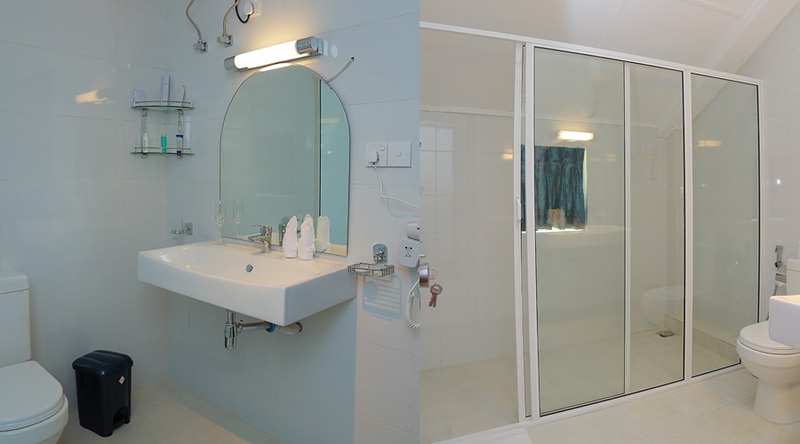 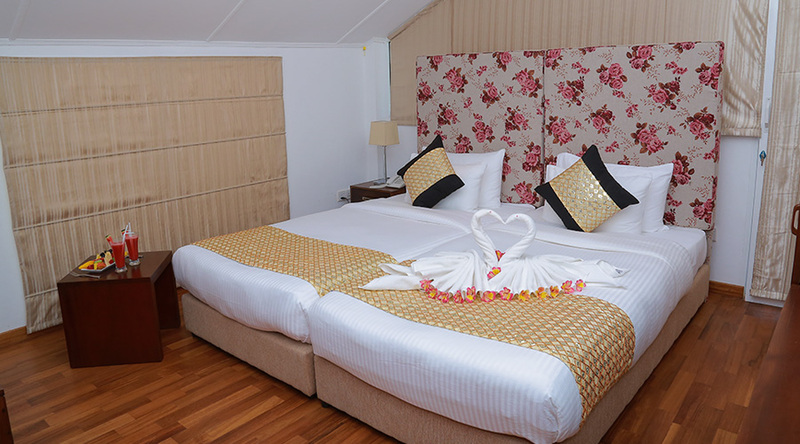 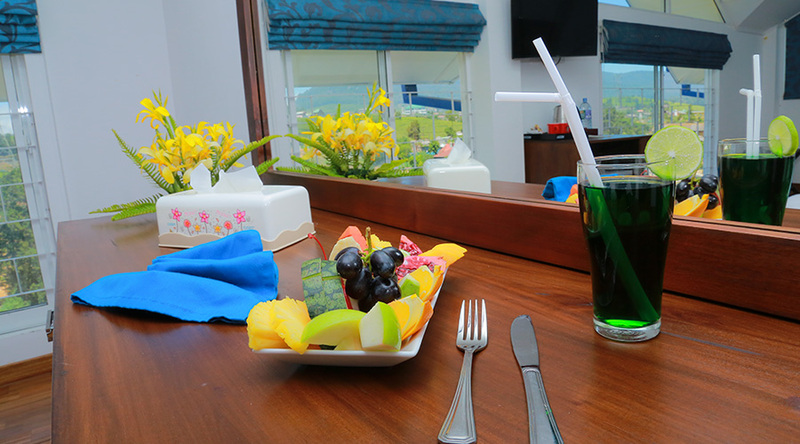 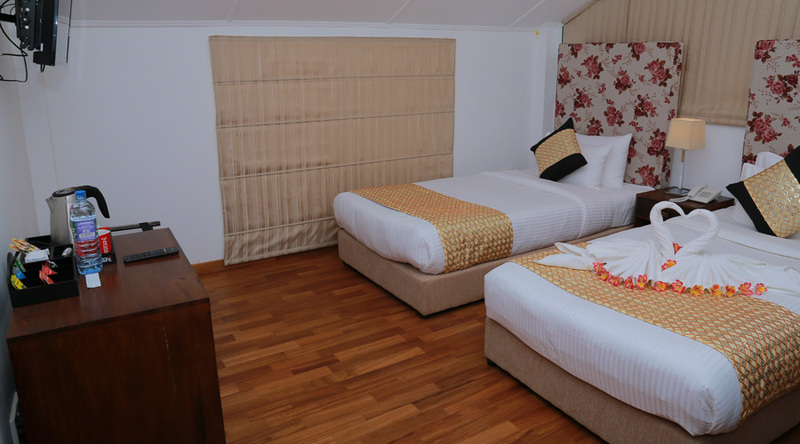 The Super Deluxe Suite is our way of making you forget that it’s a hotel due to the homely aura it exudes. 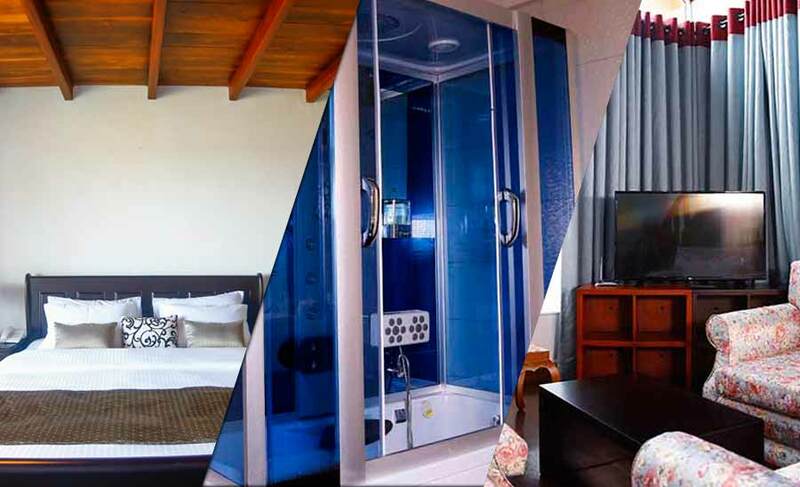 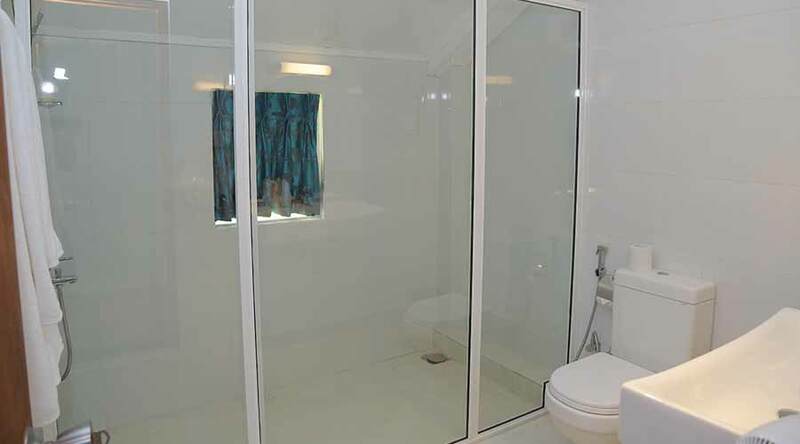 Amenities offered includes a living area, hot and cold water bathrooms, heater, additional beds and baby cots (provided on request), free Wi-Fi, TVs and a mini pantry. 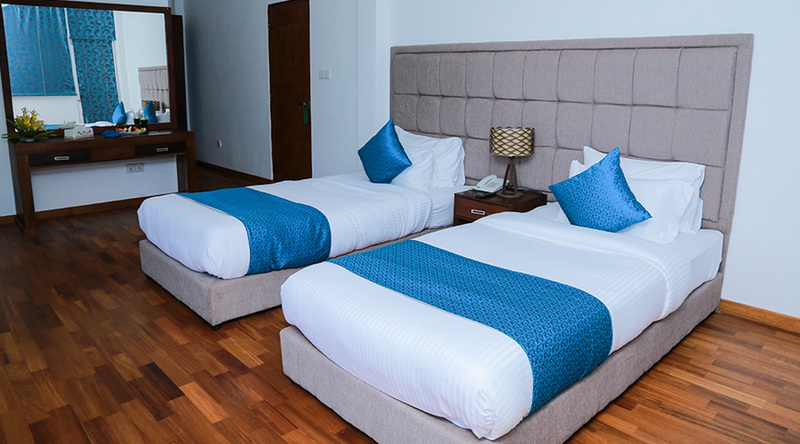 Quarters and meals for drivers is offered free of charge. 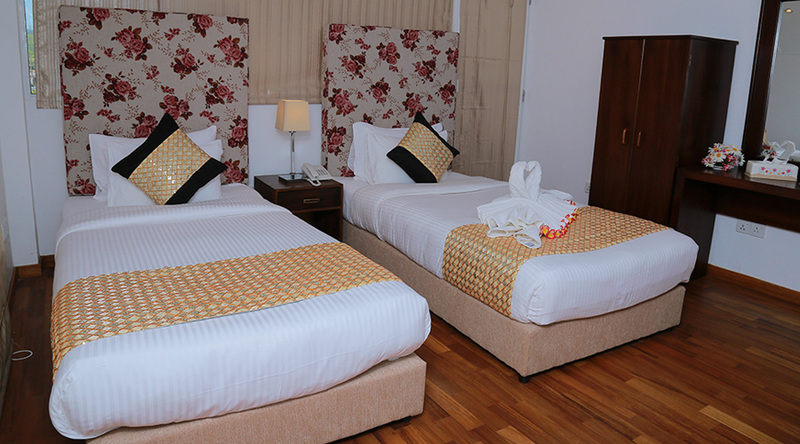 3/11, Bakers Farm Road, Mahagastota, Nuwara Eliya, Sri Lanka.